Mariah Anderson is a two-year-old baby born with Chromosome Two Duplication Syndrome, a rare genetic disorder. 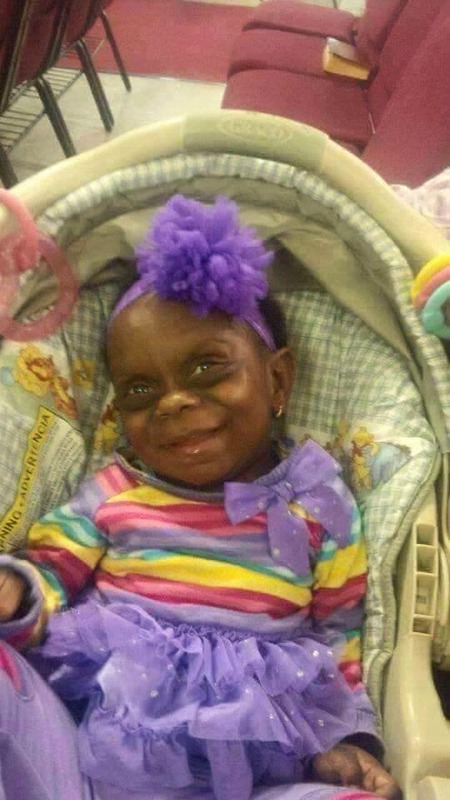 Her mother, Kyra Pringle, a South Carolina resident first posted the baby's pictures online on October 22nd, 2013, in a GoFundMe page created by to raise money to help with her daughter's health complications due to the genetic disorder Chromosome Two Duplication Syndrome. Last month, Kyra Pringle posted the photograph below on Facebook, which shows her daughter on her latest birthday, and it went viral as many people posted a a series of insensitive memes poking fun at a photograph on various social media including Facebook, Reddit, Instagram and Twitter. 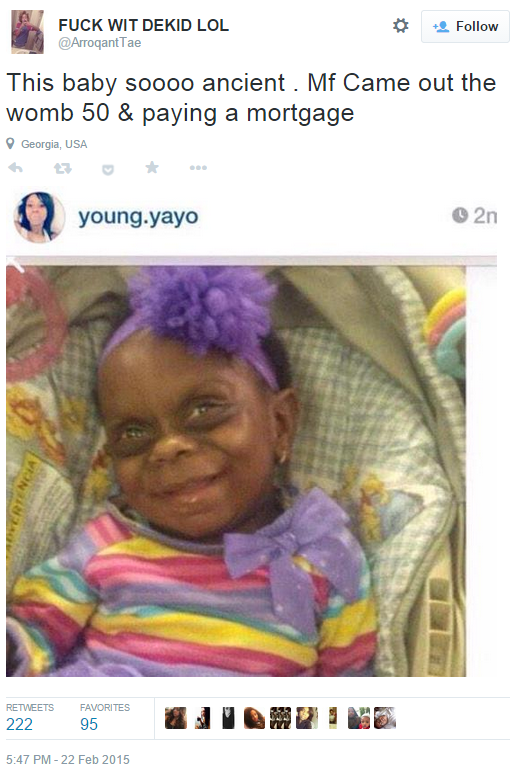 The memes listed the child among the oldest babies and joked about her features. Now, the baby’s mother, Kyra Pringle, has spoken out against the harassment of her daughter pointing out how hurtful it is to the family. She says Mariah is not a monster, and people should not compare her smiles to a leprechaun, and they should understand she's sick.